Are you familiar with David Allen’s famous 2-minute rule? The idea is that you break down your tasks into smaller segments. If an item on your list takes two minutes or less to carry out, you just do it. Right then and there. This same concept can be applied to your SEO. Search Engine Optimization simply means boosting the chances of your website being found on Google when a person searches for something relevant to your site’s products or services. It’s a pretty big deal since the more people reach you online, the more they can hopefully convert into paying customers. Meaning: mo’ traffic, mo’ money. Every great project starts with an even better plan. How do you get yourself one of those? Easy. Head to Wix SEO Wiz. This magical online wizard will set up a fully personalized SEO plan just for your website. All you need to do is answer three simple questions and voilà! A complete and easy to apply (even for beginners) checklist is created in just a few minutes. The plan includes a helpful and thorough list of recommendations to improve your website’s ranking such as: filling in SEO titles and descriptions, adding alt text to images, and more. For each item, you receive a clear explanation of the what, but also the way – so that not only do you rank better, but you also gain some knowledge about SEO along the way. Finally, every time you tick an item off your list, you’ll receive a notification to validate your progression. Another extremely cool benefit: thanks to Wix SEO Wiz, your website can get indexed instantly. Indexing is what search engine bots do when identifying a web page and saving its information. And since being indexed is the first step to ranking, you can see how valuable it is that this crucial action is done within the tool (in just a click). And Google agrees. In the most recent Google I/O, Mariya Moeva, Developer Advocate at Google, mentioned the Wiz as a groundbreaking tool. The best part? On top of being extremely intuitive, this tool is for free. That’s why it’s no surprise that thousands of website owners used it, with great benefit. Take Massimo Tovelo for example. He is the proud owner of Pizza Pomodoro in Wellington, NZ, and used Wix SEO Wiz to boost his ranking. Even though pizzerias have hard competition, his website is now ranked #1 for ‘best pizza in Wellington’, ‘italian restaurant wellington’ and more. The impact for his business is huge, as every person looking for an Italian menu in the area will be exposed to his website. As a result, his restaurant is fully packed every day of the week. Wish to see the same results? Get started with the Wiz. Keywords are the terms and phrases that people look up online when trying to find a product or service. The good ones are usually around two to five words long. When you add specific keywords to your content, you stand a greater chance of appearing in the results for those terms. Indeed, Google believes that pages that contain keywords may be more relevant than pages that don’t. This is why adding keywords to your content can really make a big difference in whether or not someone finds your website online. The first step is to find those words and the best way is to think like your potential clients: What are the terms that people would most likely type into Google in order to find you? Find the answer, and you’re set with the first series of keywords. You can pop your list into Wix SEO Wiz’s keyword analyzer to understand if your chosen words are popular or not. If you’re looking for a more in-depth info, check out this great article about choosing the right keywords for your website. Your SEO metadata: This includes your page’s SEO title and description. This is one of the most crucial places to add keywords as it’s one of the first places a search engine like Google will come to find information about your website. Try and add your main keyword once in your title, and once in your description. See below for more detailed info. Your URLs: The basis of all of your URLs is your domain, so as a first step you want to make sure you’ve chosen the right domain for your site. As for other pages such as product pages and blog posts, it’s a great idea to add relevant keywords to each page in your URL in order to attract the best traffic. Your homepage: Try and add your business main keyword 3 or 4 times in the text of your homepage. Your blog articles: If you haven’t created one yet, we’ve got the perfect guide on how to start a blog. Here you can play around with different keywords and try to target ones that are slightly longer (and more specific) than your homepage keyword. In SEO jargon, these are called: long-tail keywords. This way you’ll be able to gain more search visibility for keywords that are related to your business. For example, if you’re own a yoga studio, your homepage may include the keyword ‘yoga studio’. But with a blog, you can possibly target keywords such as ‘yoga poses’ or ‘yoga asanas’ in order to get traffic for those keywords, as you wouldn’t necessarily use those for your homepage. Keep your title length around 60-65 characters long. Write unique titles for all of the pages. This means that a product page’s title will differ from your homepage title. Make your title attractive: use a title format (this means capitalizing the first letter of each word.) and remember, spelling mistakes a big no-no. Even though your meta description is not a ranking signal, it still has the ability to increase your click-through rate. Therefore, you want to make sure it’s as attractive and informative as it can be. Add your keywords: In the description, you can be more playful, and add more than one main keyword. When someone searches for a certain query, it will be bolded in your description, thus making more people want to click. Don’t forget to keep your descriptions around 160 characters! Those are the first things you absolutely need to take care of for on-page optimization. Once you’re done, there are many other things that you can improve to make your site SEO friendly in the long run, including having an intuitive site navigation, a good mobile-friendly version, and making sure your content is shareable. Alt text is a textual description that is intended for search engines to understand what’s on your images. As Google and other search engines can’t see images as we do, they will consult your alt text to understand what’s on an image, graph or picture on your website. Plus, it’s a good idea to add keywords when relevant. This will enable your images to be found on Google Image Search, which can lead to more organic traffic. Adding alt text is actually easy to do. This guide will teach you how to write alt text. After applying those tips, Jemma McFarlane, Head of Design of Dytham Jewellery Design was able to increase the amount of traffic her website’s pages got from Google Image Search. Her business has grown tremendously since she’s started working with Wix SEO tools. She was able to outrank her competitors, and her stunning website became the top place where clients booked appointments. Moral of the story: an image can definitely be worth a thousand keywords. Although your website lives on the Internet, in most cases your biz is located in a specific area and your customers are from your surroundings. But ironically enough, most people will find your physical location by searching for you online. (Lazy, much?). This is why you should invest some efforts in your local SEO. This just means making it possible for your website to rank well in Google’s results for people searching in your specific area, town or city. 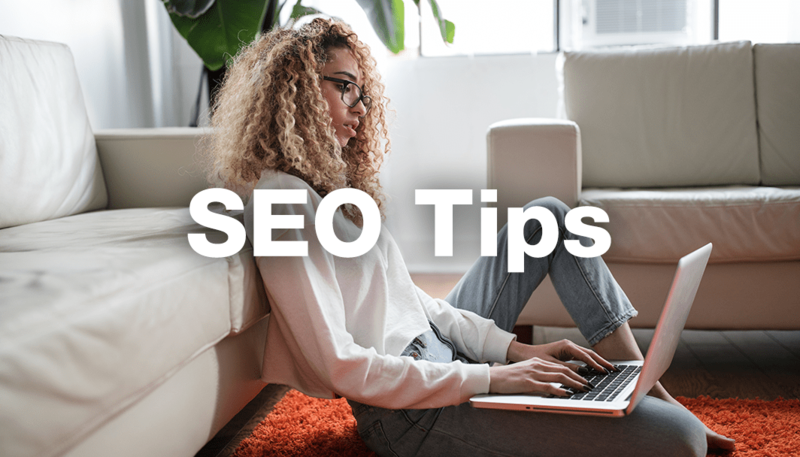 The first thing you should do this is to add your location to your site’s content: your SEO title and description, of course, but also in the very text of your homepage. Just see how Jala Alsoufi, General Manager of Soufi’s, simply added the location ‘Toronto’ across all her SEO’s and website’s content. As a result, she now ranks on page one of Google for ‘Syrian Restaurant Toronto’. Local SEO doesn’t stop there. Other easy actions you can take are including a contact page (with Google Maps, and your precise contact details) on a separate page or in the footer of your website. In addition, a great practice is to sign up for Google My Business with your precise contact details. This will allow you to be featured on Google Maps and you’ll even get a chance to be featured in the so-called ‘local pack’. This is the box that appears in the search results in which you see a map, and three local SEO optimized businesses beneath it. Finally, make sure to update your social media profiles so that you (and your visitors) can spread the word about your biz. Add your current NAP (name, address and phone number) and don’t forget to add a link to your website.